Ogden on Politics: No Substitute for Political Experience; Did Mayor Ballard's Performance in WRTV Jobs Committment Interview Portend Trouble for Ballard Campaign? No Substitute for Political Experience; Did Mayor Ballard's Performance in WRTV Jobs Committment Interview Portend Trouble for Ballard Campaign? Virtually every Indianapolis political blogger, Republican and Democrat, has commented Indianapolis Mayor Greg Ballard interview with WRTV's Kara Kenney about the administration's job commitment claims. Mayor Ballard, clearly looking annoyed at being confronted by Kenney, talked about the "paradigm" the administration "inherited" when it came to measuring job commitment claims. When Kenney shifted questions, Ballard continued giving the same "paradigm" answer. Ballard finally walked off, clearly agitated by the confrontation, while Kenney was still asking questions. I wanted to do a brief political analysis of what this confrontation says about Greg Ballard as a candidate. Let's not forget, although Mayor Ballard is the incumbent, he is in many ways a campaign rookie. 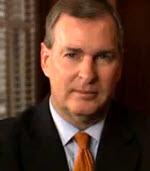 Ballard has never had the traditional campaign experience of being attacked by opponents or facing tough questioning by the media as a candidate. Ballard was elected by a late surge that let him avoid those campaign unpleasantries. The confrontation with Kenney reveals a number of deficiencies with Candidate Ballard. Kenney didn't ambush Ballard asking him about an obscure issue. She asked questions about an issue that is central to the Mayor's re-election campaign - job commitments. Yet Ballard would only respond with the bizarre "paradigm" comment, an answer that was totally non-responsive to the question. Yet Ballard repeated it over and over again. That shows the Mayor lacks some fundamental knowledge about a major campaign issue or that handlers are so concerned about his responses, that they have given him a line to say and told him to not go beyond that. The Kenney confrontation also reveals that the Mayor has a short-fuse and easily gets offended when people challenge his policies. Well that's only going to get worse the next several months. The three year ride of non-confrontational media coverage of the Mayor has ended. You will have to wonder when the attacks of the Mayor's come in earnest, and they will come, how Ballard is going to respond. If he responds with a short-fuse, appears ill-tempered when asked legitimate questions, voters are going to be turned off and wonder if he's up for the job. Ballard has always had a public image of being a nice, easygoing guy, a person who is very likable. Politicos who have had dealings with Ballard often dispute this perception, complaining that he has a temper and is vindictive when he gets crossed. With the exception of Jackie Nytes, Ballard apparently has refused to even meet with Democratic councilors or return calls. Watching the Kenney video, the nice, likable Ballard is nowhere in sight. Rather Ballard comes across as arrogant and angry...not at all like the public perception of the nice guy who became mayor. I have long said that there is no substitute for campaign experience. Ballard lacks the experience of being under fire, having one's positions challenged. But what is probably most distressing for the Ballard campaign has to be that the Mayor appears to lack the personal skills to be a successful politician. It looks like it's going to be a long year for the Ballard campaign. Kudos to WRTV for doing what The Indianapolis Star used to do ... cover local political news!